Chocolate Lavender Soap is layered with the scent of fresh lavender, creamy milk chocolate, jasmine and amber. It's a delicious blend that allows the chocolate to stand out, but the rich amber and floral notes take this scent from 'foodie' to 'beauty'! 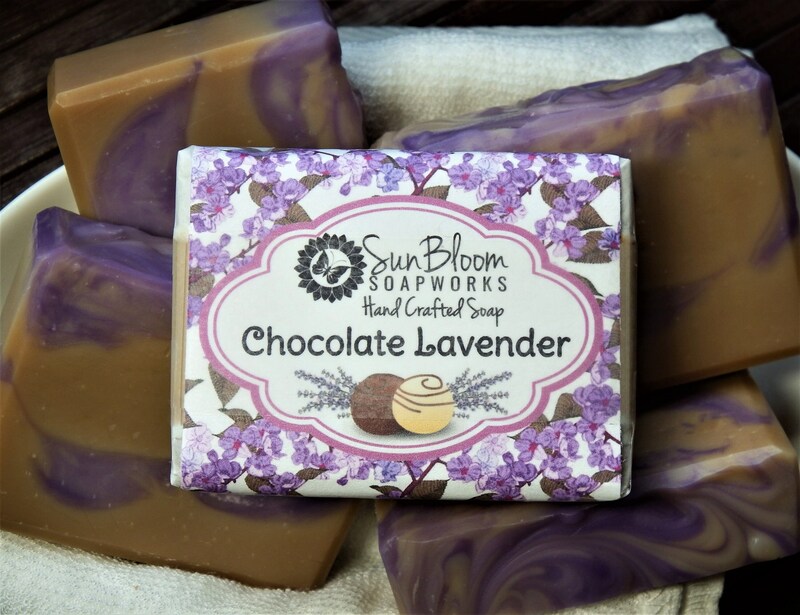 If you love chocolate or lavender - or both! - you'll want to give this soap a try! Repeat purchase. I really enjoy this scent. Thank you so much for the free samples!